It’s here–a new year! And with it, perhaps you’re planning to get on track with your spending and saving habits. Did you know you can save 75% or more on your grocery trips by using coupons? Many people don’t think it’s worth the trouble. (Saving 75% isn’t worth the trouble?) Well, I want you to know this: It really doesn’t have to be that inconvenient or difficult. In fact, it could be that you aren’t seeing any real savings when you use coupons because you don’t know how to use them to your best advantage. I’ve got five tips for you today, and I want you to try them. Give coupons a chance–the savings really do add up! 1. Only use coupons with sale items – Using coupons alone is not a good deal. Only use coupons in conjunction with sales or clearance items in order to get the best price. For example, when the store brand peanut butter is on sale for $1.74, and the name brand peanut butter is $2.89, my $.50 coupon– even doubled–still doesn’t match the store brand price. However, if the name brand peanut butter is on sale for $2.69, and I have a $.50 coupon that my store doubles, then I have saved $.05. That may not sound like much, but what if the store I go to has a Buy One, Get One Free sale at that price? Okay, now I have two peanut butters for about $.85 each. That is significant. 2. Get multiple coupon inserts – I recommend 1 coupon insert per family member. In order to save the most, you want to get multiples of items when they are on sale so you can stockpile. You can only use one manufacturer coupon per item, so the more coupons you have, the more of a sale item you can purchase. Be sure to check Faithful Provisions each Thursday when we post the Sunday Coupon Preview. 3. Keep ALL coupons – Don’t throw away a coupon unless you wouldn’t want to get that item for free, or give the free item away to someone else. Couponing is a great way to be able to give to others, such as homeless shelters, women’s shelters, rescue missions, and local food pantries. 4. Don’t be brand loyal – Must it be Heinz Ketchup? L’Oreal hair color? Oscar Meyer hot dogs? Really? When using coupons, you want to be flexible with your brands in order to save the most. To save the most, you purchase the items that are on sale, and you use a coupon. But, there may be some items that you are stubbornly attached to. (I have a few myself, like Frank’s Hot Sauce.) Perhaps there is a particular brand of coffee that you always purchase. You might never think of clipping coupons for other brands of coffee, but what if you could clip those coupons and get coffee for $1 or less? Then you can donate it. Thinking of coupons as a way to not only stretch your budget, but also to give out of your need to others, will enable you to give like never before. 5. Be Organized – Only use coupons if you are going to keep them organized, preferably in some kind of filing system. 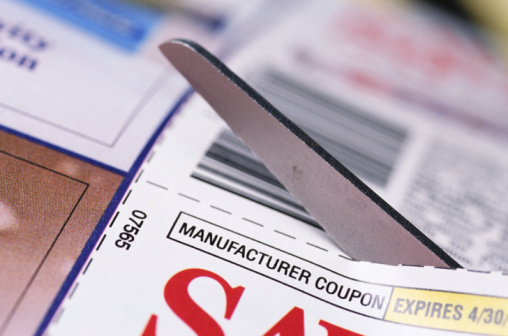 There are two ways to organize your coupons, using the Cut and File Method or the File by Date Method. Whether you are new to couponing or a veteran, you’ll find tips and tricks you can use for saving even more money in my new book, my new book, Saving Savvy. .
What about you? Are you trying couponing this year as a way to bring down your grocery bill? You can also get a group together where you can request any extras of a particular coupon you need that the others may never use. I have done this several times and it works great for me. This way I don’t have to buy more than 1-2 papers. I also share my extra coupons with them.